A practical way to greatly expand your iPad amp options. Deep amp editing options. Works excellently with JamUp and IAA. 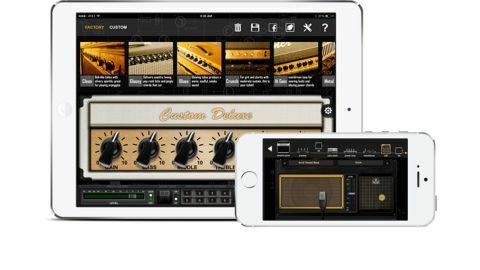 BIAS from PositiveGrid is the first iPad app to offer deep editing of amps to the extent that you can build your own by swapping components such as the preamp, tonestack, power amp and transformer, as well as changing valves and editing parameters. "Packing an initial 36 amp models, there's a massive range of options"
a noise gate and room simulator, there's a massive range of options. There are no effects, but you can use the BIAS amps with other apps via IAA - particularly seamlessly with PositiveGrid's JamUp (a fine app with amps, effects, recording and practice aids).